The Incarnation of God as man is a scandal. The first century Jews were expecting a Messiah, but did not conceive that he would be the Son of God Himself. They expected a messianic political leader. Jesus, being the second person of the Trinity, could very well have descended from Heaven ablaze in His divine power and majesty to establish His kingdom. Yet, we know this is not what happened. The Son of God came in obscurity, humility and poverty. This is the second scandal of the Incarnation. The divine being was born as a baby, completely dependent and helpless, to a poor family in a small village, placed in an animal manger. God came as the least among us. Chesterton called this “an idea of undermining the world.” This is the great paradox of Christianity, God as man, and even, God as an infant, the divine hidden in the ordinary. So intimate is His love for us that He came personally in search of us, as the Creator entered His creation, and eternity entered time. How few recognized the extraordinary baby in their midst in that most ordinary scene in Bethlehem? How often still do we fail to see God in our ordinary circumstances each day? The Incarnation is, at its most basic and profound level, a love story. It is the love of an infinitely merciful God for a broken and lost humanity. God came into our world on a search and rescue mission, to save us from our sins. Jesus did not come as the expected conquering king, rather, He came as the unexpected suffering servant. He chose to enter into our state of life, to follow the same path as all of us, of being born, growing up, laboring as an adult, and ultimately, dying. In doing so, He chose to take on the lowliness of our human nature, the ordinariness of our circumstances, and the drudgery of our every day lives. This is truly an amazing thing to contemplate. Jesus, the divine being, chose to spend most of His life living a private, ordinary existence just like yours and mine. God chose to live like us in the small, mundane details of our lives. But why? We know the ultimate reason for the Incarnation is the Redemption. Yet, to state the obvious, Jesus was God even before His public ministry. When He worked as a carpenter in Joseph’s workshop, He was God. When He lived with Mary His mother, He was God. Jesus’ redemptive mission did not begin with His public ministry. It began with His Incarnation and birth, and continued along the spectrum of His whole life. As the Catechism states, “Christ’s whole life is a mystery of redemption.” (CCC 517) What is nearly as remarkable is the fact that almost all of Christ’s life was hidden and seemingly unspectacular. As the Church states, “During the greater part of His life Jesus shared the condition of the vast majority of human beings: a daily life spent without evident greatness, a life of manual labor.” (CCC 531) Jesus lived as one of us in all ways, except sin. Little else is said in the Bible of this time period before Jesus’ public ministry. Unsurprisingly, when we think of the life of Jesus, we think most often about the last three years of His life, His public life, as recorded in the Gospels. These were the all-important years when Jesus gathered His disciples, preached the kingdom of God and the repentance of sins, worked miracles, healings, instituted the sacraments, founded His Church, and of course, offered Himself to the Father with His Passion and Crucifixion. There seems to be a huge dichotomy between the ordinariness of His first thirty years and the extraordinariness of His last three years. One can imagine at the beginning of His public ministry the astonishment of His neighbors when they asked, “Where did this man get all this?” (Mk. 6:2) They only recognized the “ordinary” Jesus, and were incredulous at seeing and hearing the divine Jesus. This begs the question then, why did Jesus live these two almost separate, distinct stages in His life? Why was there seemingly such a difference between the first 90% of His life versus the last 10% of His life? The two distinct periods of Jesus’ life, the private and the public, were not at odds with each other. Jesus’ whole life was lived accomplishing the will of the Father. Even from His beginning, He was already accomplishing the will of the Father in perfect obedience. As the Catechism states, “From the first moment of His Incarnation the Son embraces the Father’s plan of divine salvation in His redemptive mission.” (CCC 606) The mystery of redemption was at work throughout His life, even in His private years as a seemingly ordinary person. It was one continuous redemptive mission along the spectrum of Jesus’ life. So then, what was Jesus’ redemptive mission in His private life? He followed the same path that we all follow of being born into this world, growing up, and laboring as an adult. Jesus took on all of our circumstances, and lived our daily, ordinary lives. He also lived in the most humble and extreme of circumstances so as to encompass the breadth and depth of human experiences. He came intentionally to live through all these various stages of life. The Catechism says, “Christ’s whole life is a mystery of recapitulation. All Jesus did, said, and suffered had for its aim restoring fallen man to his original vocation.” (CCC 518) Jesus recapitulated within Himself all of our ordinary human actions, and in fact, our very ordinary human nature. This mystery of recapitulation included our human institutions, from the family, to our jobs, our hardships, and our vocations. He also recapitulated all of our states in life. He was conceived in the womb, He was born, He grew up as a child, He became a young adult, and finally He reached maturity, and at last, died. Jesus lived all of this. God deemed no stage or circumstance of life unworthy of His presence. He lived these in order to sanctify them, consecrate them, and restore them. The Catechism quotes St. Irenaeus in this area, “For this reason Christ experienced all the stages of life, thereby giving communion with God to all men.” (CCC 518) Within Jesus, all aspects of human life, from birth until death, were sanctified. The mystery of redemption took place in the body of Christ when “the Word became flesh.” The material nature of man was subsumed in the vastness of His divinity, and the infinite efficaciousness of His divine nature was infused into human nature. This is the hypostatic union – a fusion of humanity and divinity – in the person of Jesus Christ. The Catechism refers to this as “His holy and sanctifying humanity.” (CCC 774) Jesus’ humanity is the instrument for redeeming our human nature. It was made holy and sanctified when God took on our nature and lived as one of us. Humanity was raised up, restored, and divinized in the life and Resurrection of Jesus Christ. Christ was indeed the “perfect man,” the new Adam, who lived a perfect life, but He did not live it for Himself. Rather, Christ lived it for us and for our salvation. Moreover, “All Christ’s riches ‘are for every individual and are everybody’s property.’” (CCC 519) Part of the reason Jesus lived His private life of thirty years was so we could be united to Him in everything we do. Our ordinary lives can have extraordinary meaning. The Catechism forthrightly describes our communion with His mysteries, “Christ enables us to live in Him all that He Himself lived, and He lives it in us. “`By His Incarnation, He, the Son of God, has in a certain way united Himself with each man.’” (CCC 521) And so, it is up to us to unite ourselves with Him in all that we do. We can be united to Christ even now in our most ordinary of lives, through the sanctifying humanity of Jesus in His Incarnation. Each of Jesus’ actions was performed with the salvific power of the Godhead, infusing them with infinite moral value, not limited by time or space. This is part of the on-going love story, and is perhaps the third scandal of the Incarnation. We can partake in Christ’s mysteries, and He can continue to live them in us and through us. If we do so, in communion with the Church, the infant Christ of Bethlehem will be born again into our hearts and our souls. So, we too, like the shepherds can recognize Christ in our midst and adore His presence in our lives each day. This entry was posted in Christmas, Incarnation and tagged Christmas, incarnation, Jesus, sanctifying humanity on December 24, 2016 by Brian. Now, because the fullness of divinity dwelt in the person of Christ, every event, every circumstance, every word, every deed, no matter how small or seemingly inconsequential, takes on a divine significance and importance. There are no small actions for a God-man. Everything He would have done or said would be of divine significance. The divine Sonship of Christ imbued all of His actions with infinite value. The Catechism alludes to this saying “Christ’s whole life is a mystery of redemption. Redemption comes to us above all through the blood of His cross, but this mystery is at work throughout Christ’s entire life.” (CCC 517) For Christ’s whole life, the infinite God performed finite human tasks, living as an ordinary man. For thirty years, Jesus labored as a carpenter in silence and obedience to Mary and Joseph. The infinite vastness of Jesus’ divinity remained hidden under the auspices of His ordinary humanity, only to be revealed occasionally, and progressively, when He so chose, in His miracles and His healings, in His words, at the Transfiguration, in the Resurrection and Ascension. Jesus communicated His divinity to us through the lens of His humanity. He was able to save the human race precisely because He took on a body and soul as a human being when the Word became flesh. (Jn. 1:14) The mystery of redemption took place in the body of Christ, in His humanity, and because of His divinity. The Catechism calls this “His holy and sanctifying humanity.” (CCC 774) All of humanity and human nature was made holy and sanctified because God took on our nature and lived as one of us. The Church teaches, “The saving work of His holy and sanctifying humanity is the sacrament of salvation, which is revealed and active in the Church’s sacraments.” (CCC 774) Jesus’ human nature is the instrument for redeeming our human nature, which is why the Church calls it His “sanctifying humanity.” In Jesus’ sanctifying humanity, He performed finite actions, limited to a particular time and space. Yet, these finite actions were performed by a divine person, by which, giving them infinite moral value and efficaciousness, for all time and for all people. Sanctifying grace is the true source of greatness for the believer. Without sanctifying grace our faith is meaningless. It is the transformative and life-giving power that Christ won for us in His life that can transform our ordinary lives and actions. Sanctifying grace is primarily conferred upon us through the sacraments. Baptism and Confirmation confer the Holy Spirit into our lives making us adopted children of God. Reconciliation and Eucharist sustain us with sanctifying grace from one day to the next, divinizing all of our activity in imitation of Christ for the glory of God. However, just as Christ’s divinity lay hidden in the workshop in Nazareth, so our life, as adopted sons and daughters, lay primarily interior and hidden. As Jesus tells us “the kingdom of God is within you.” (Lk. 17:21) St.Paul echoes this too, saying “your life is hidden with Christ in God.” (Col. 3:3) The Christian life is truly a supernatural life. It is our participation in the mysteries of Christ, making us partakers in the divine nature. 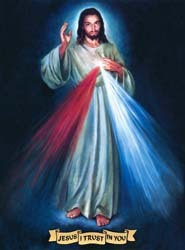 (2 Pet.1:4) We are drawn into Christ’s mysteries through our faithful love and adoration of Christ, in contemplation, in reading the Bible, in the mass and liturgy, in the sacraments, in our prayer life, in our actions, in doing them with intentionality to please God. As John says, “from His fullness we have all received, grace upon grace.” (Jn.1:16) So that, through our contemplation and worship of the life of Christ and all His words and deeds, He may be able to reproduce them in us by the special grace attached to each of His deeds and actions. Christ’s whole life is a type of sacrament, imparting His sanctifying grace upon us in each of His actions. As Jesus walked through the masses of people “the crowd were trying to touch Him, for power came out from Him and healed all of them.” (Lk 6:19) Christ is a living Christ, with this same grace and power He had then, which still emanates forth from Him now into those that draw near to Him and dare to reach out for Him in faith. In all of His life Jesus presents Himself as our model. He is “the perfect man” who invites us to become His disciples and follow Him. In humbling Himself, He has given us an example to imitate, through His prayer He draws us to pray, and by His poverty He calls us to accept freely the privation and persecutions that may come our way. The mysteries that Christ lived in the flesh are our mysteries too. They are meant for us. We can unite ourselves each day with them. His divine, sanctified humanity, which conquered death, gives eternal life to our mortal humanity. This is the whole point. We are doomed to die, but in Christ we have the blessed hope of resurrection and eternal life. And, how should we live? We can habituate ourselves to try to please God in all things, even the smallest of our actions, in order to be united with Christ in all that we do. This is a key to the sacramental life, living with the intentionality of pleasing God. This will orient all of our activity towards God, and unite our lives with the life of Christ. He will recreate His mysteries within us. Just think, even more so than adoring the life of Christ, Christ’s very own sanctifying humanity – His divine essence as manifested in His flesh – lives on with us, even now, He is still here, in the real presence of the Eucharist. We can merge ourselves with His sacred humanity and His sanctifying grace by consuming His body and blood in reception of the Eucharist, our Holy Communion. Then, Christ will live within our dying bodies and souls, His sanctifying humanity transfiguring our humanity, and resurrecting us to eternal life. This entry was posted in Sanctifying Humanity and tagged Catechism, Catechism of the Catholic Church, eternal life, Eucharist, faith, God, humanity, hypostatic union, incarnation, Jesus, mysteries, Mystical Body, Nazareth, Redemption, Redemptor Hominis, resurrection, sacramental, sanctify, sanctifying humanity, supernatural, Theandric on December 17, 2015 by Brian.